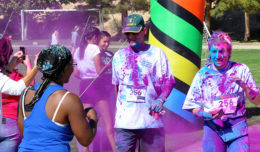 The Edwards Air Force Base, Calif., community is invited to attend a special all-hands event at Hangar 1600 on June 23. The 31st Test and Evaluation Squadron is holding its centennial celebration. Festivities will run from noon to 4 p.m. 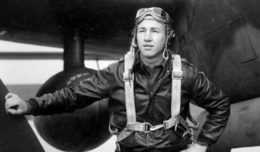 The gala will feature food, static displays and historical items, squadron representatives said. 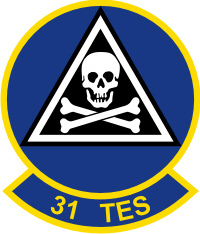 The 31st TES is an Air Combat Command tenant unit at Edwards. 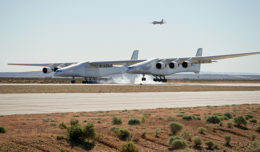 The Desert Pirates are part of the 53rd Test and Evaluation Group out of Nellis Air Force Base, Nev., which falls under the 53rd Wing at Eglin AFB, Fla. The 31st TES represents the warfighter during early flight testing to ensure the combat Air Force receives the world’s best operational systems, according to the squadron. The 31st TES has about 250 personnel who can be found working in the combined test forces located throughout Edwards, most with the F-35 Joint Strike Fighter program. The squadron has been in existence since June 26, 1917, where it began as the 31st Aero Squadron at Kelly Field, Texas, shortly after the United States’ entry into World War I. After years of flying everything from early fighters to multiple World War II-era bombers, the unit was closed down but re-activated July 1, 1986 as the 31st Test and Evaluation Squadron at Edwards. Its primary mission was to support the General Dynamics F-111B medium bomber for Strategic Air Command and to test modifications and upgrades prior to being sent to field units. It also performed testing for modifications to the B-52 and B-1B Lancer strategic bombers and SR-71 Blackbird strategic reconnaissance aircraft, according to historical publications. In June 1992, with the inactivation of SAC, the squadron came under the new Air Combat Command. The 31st TES is currently staffed with operations, maintenance and engineering experts who plan and conduct tests, evaluate effectiveness and suitability, and influence system design. Unit personnel are integrated into the bomber and remotely piloted vehicle programs. The squadron also possesses multiple F-35A Lightning II Joint Strike Fighters and is the Air Force’s lead test agency for F-35 initial operational test and evaluation.